"Then they’re sitting there selling Blue Bell ice cream or a cup of coffee so that they can work themselves off the street and into a home," she said. Street Treats will cost one dollar, and the homeless vendors will get to keep all the profits, which amount to about 50 cents per item. Mobile Loaves and Fishes is donating the cost of the carts, permits and uniforms. Last year, a project to get entrepreneurial homeless people selling WiFi internet access attracted international controversy. The so-called "Homeless Hotspots" were set up by a New York City advertising company BBH Labs. Mobile Loaves and Fishes, an Austin-based homeless service provider, will officially launch its program Sunday, March 10 at the State Capitol. You can find locations of vendors by following @StreetTreatsATX on Twitter. Cell phone companies are getting ready for South by Southwest, when thousands of smartphone-toting attendees will be putting mobile bandwidth limits to the test. The Good Listener: Do I Come To SXSW If I Don't Have A Badge Or A Billion Dollars? We get a lot of mail at NPR Music, and amid the Valentine's Day cards that got returned with no forwarding address is a slew of smart questions about how music fits into our lives — and, this week, how music fans could and should approach SXSW, the gigantic music festival held every March in Austin, Texas. 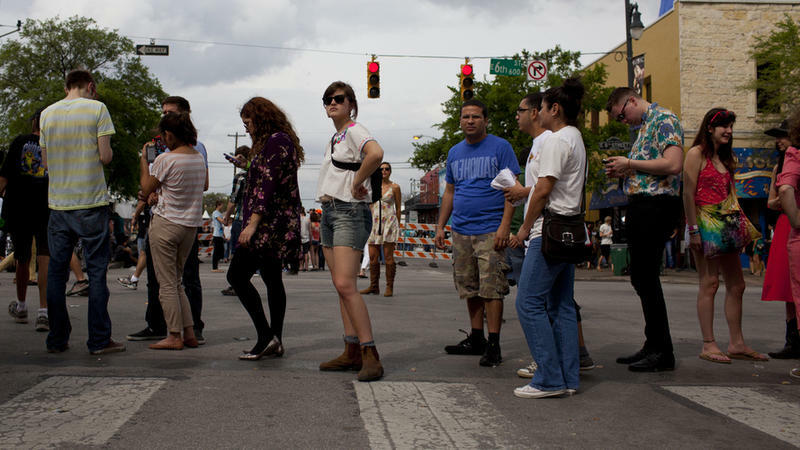 In little over a months the city will swell as South by Southwest takes over downtown Austin. And the over 200,000 expected festival attendees have no shortage of events to attend: Today, SXSW released its film lineup, totaling 109 features.